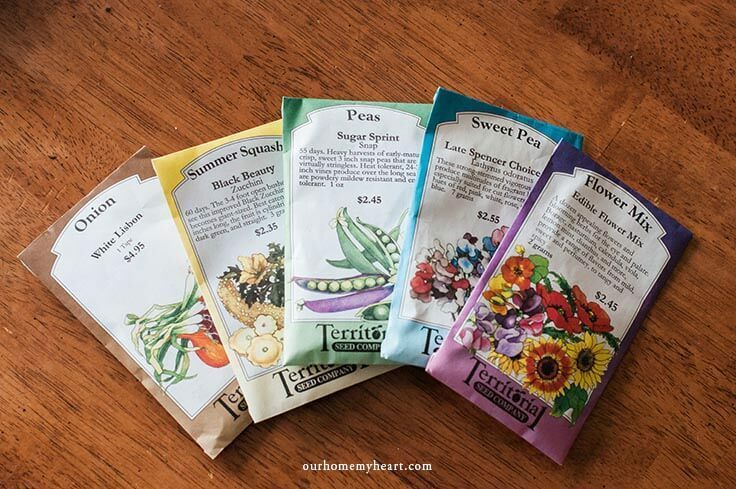 Have you ever wondered how to start your garden seeds with little effort? 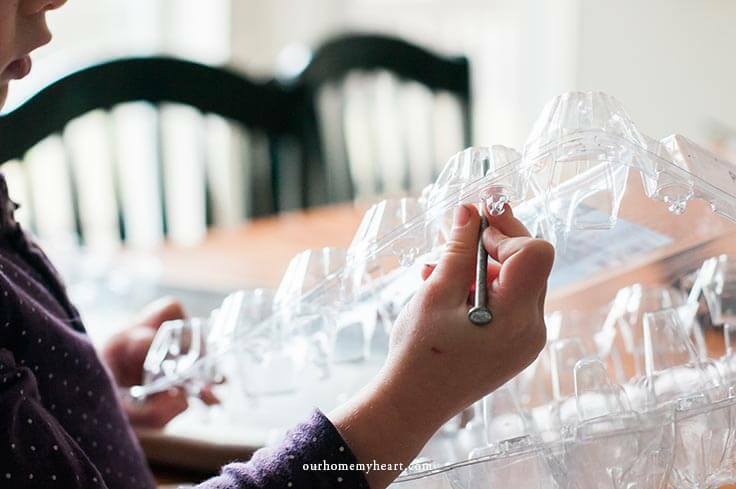 This winter egg carton greenhouse is effective and fun too! 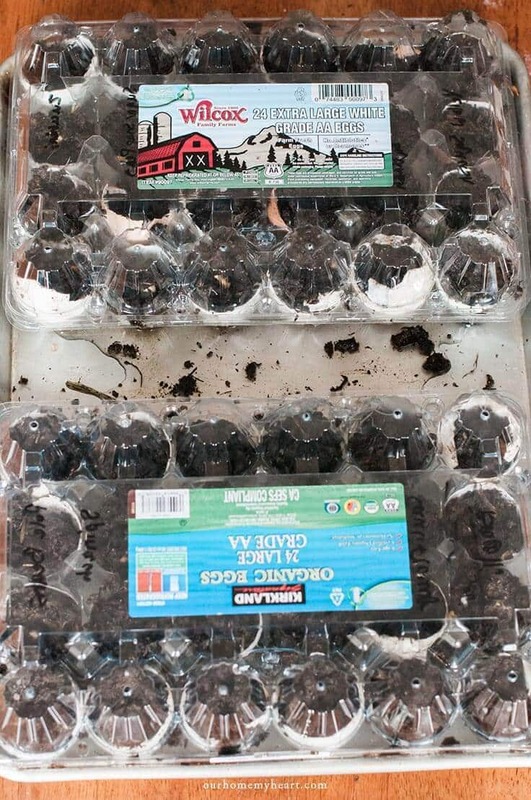 If you’ve ever wanted to know how to start your garden seeds with little effort, this winter egg carton greenhouse is exactly what you have been looking for! We are all busy, and sometimes it’s hard to put yet another thing on our already full plate. My goal is to find a simple and effective way to tackle everyday tasks like these, and find joy in them too! Hey there! It’s Alycia from Our Homestead Where My Heart is. Gardening just happens to be considered a homesteading activity, and is something I am passionate about. If you are like me, you might be excited to grow food for your family. Or you might just want to enjoy some beautiful blossoms this spring, summer, and even fall, now is the time to act! With just a little bit of effort you will be able to reap the benefits for months to come. It can be tempting to start your seedlings in a sunny window in your kitchen or under a grow light. Unfortunately that will actually will create a lot more work for you when you have to go through the process of hardening them off. When it is time to move them to your garden, they could go into shock from the sudden change in temperature. If they have been babied inside their entire lives, you will have to take them outside every day. 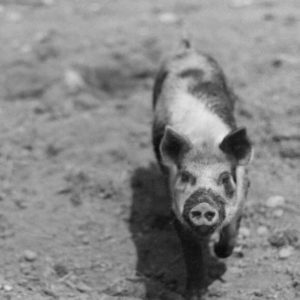 Then for each consecutive day for at least a week you will need to leave them outside for a little bit longer in order to get them used to the sometimes inconsistent spring weather. 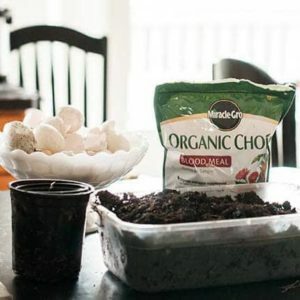 With this seed starting method, hardening off plants isn’t necessary because they are already used to being out in the cold. You will be able to plant your seeds and literally do nothing with your plants (except watering if needed) until it is time to transplant them to your garden. Like I said before, I am always trying to make my life more simple because I am lazy busy… very busy. So I’m sure you’re dying to find out how to start your summer garden even though it’s only March. Well, let’s get started! As many plastic egg cartons as you can find. This is key. 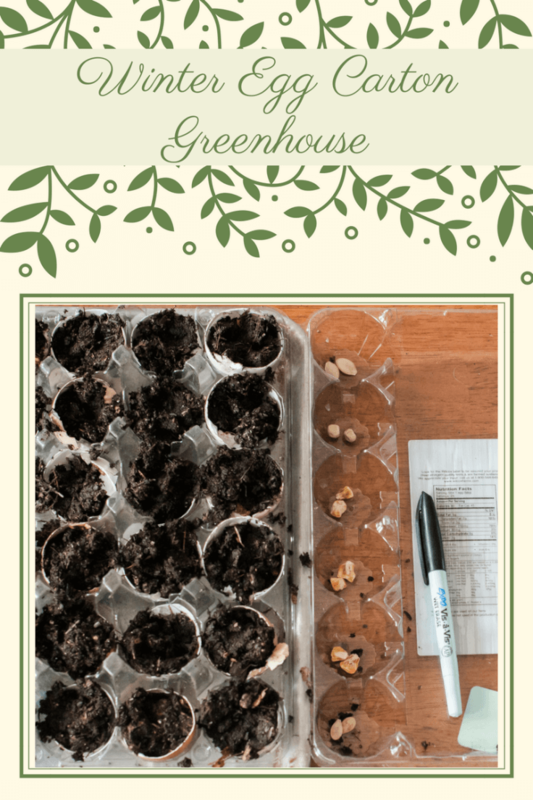 The plastic lid will act as a mini greenhouse and heat your seeds up enough for them to germinate outside, even in cooler weather. Step 1: Gather all of your supplies and kids because this is a family affair. Even a 2 year old can help. This photo is evidence of that. Step 2: Use a sharp object to poke holes into each crevice. The ones on the top are for air circulation and allow rainwater to get in. The holes on the bottom help the water drain which is important to prevent the seedlings from drowning. Step 3: Poke holes into each egg shell half for additional drainage. My kids really enjoyed taking turns doing this. 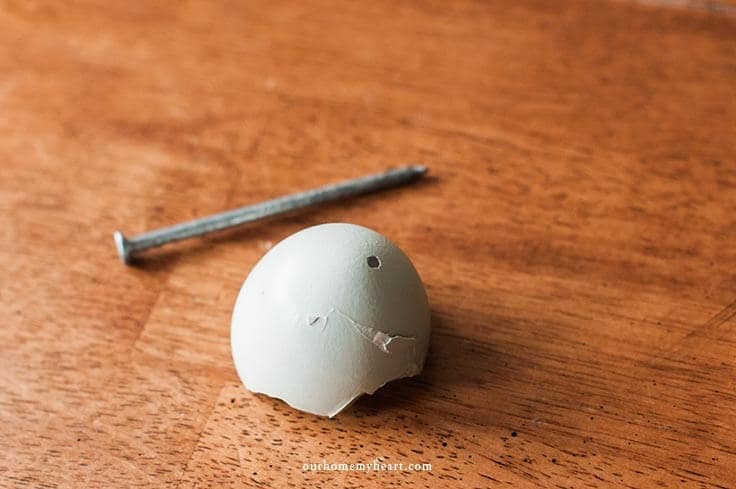 One would hold the egg and I would help the other use the nail to make the hole. 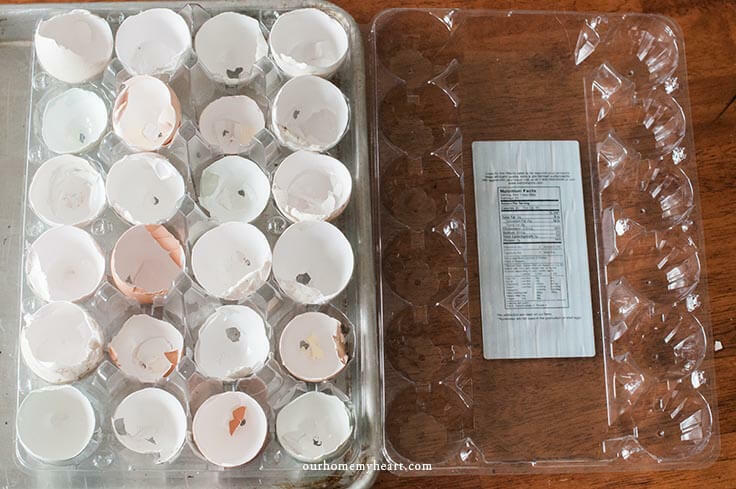 Step 4: Lay the eggshells into every available space in the carton, and place it on a cookie sheet to help contain the mess. It doesn’t have to be perfect, or even pretty to be effective. 😉 But make sure you don’t skip this step. The calcium in the eggshells helps to build the cell walls of the plants and it is also essential for root growth. 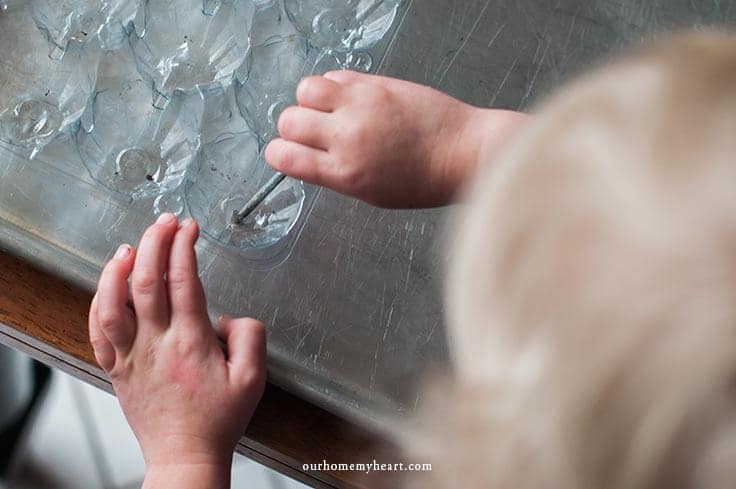 This will give your baby plants the best chance to grow into nourishing food for your family. Step 5: Select what seeds you would like to grow. I get mine through Territorial Seed Company because it has heritage seeds that grow well in my area. You could do some research on what grows best in the zone that you live in. Or you could do what I did my first few years gardening and learn through trial and error. That’s one of the great things about gardening. You can do what works for you at the time. There are no definite rules. 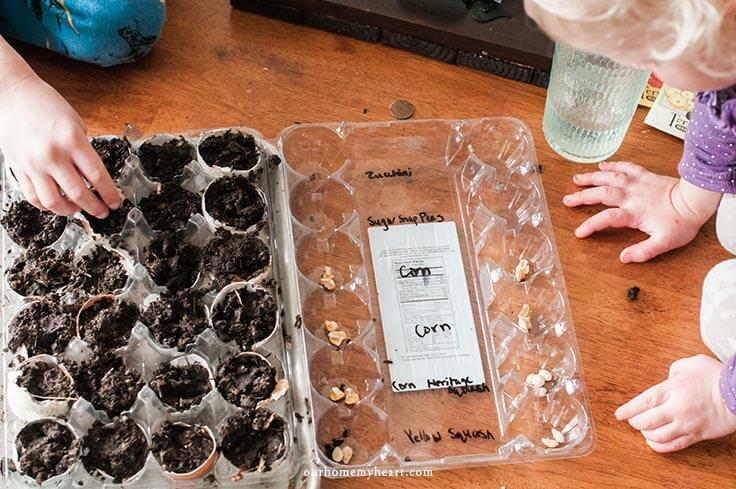 Step 6: Fill each shell with your organic soil. Just gently tap the bottom of the shell to help it settle. After they were all filled I laid out the seeds in the lid so they were ready for planting. Step 7: Now comes the fun part, planting the seeds! 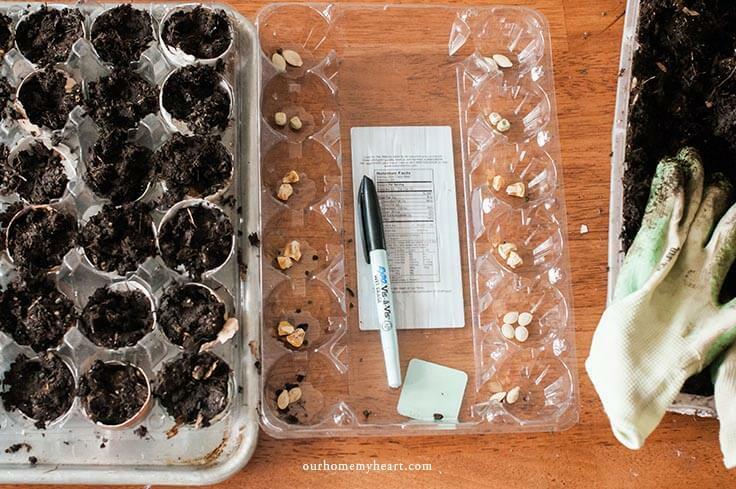 Use your pointer finger to make an indentation in the middle of each individual eggshell planter, and insert the seeds according to the package instructions. Use your marker to label each of the rows so you will know what you planted and not have to try to figure it out later. I might know how difficult that can be from experience. 😉 Make sure to bring your little helpers along. Don’t worry if they are wearing pajamas or decide to bring their treasures along with them like mine did, that just makes it all the more fun! Step 8: Close up the lids and find a nice open area outside where your seedlings will have access to plenty of sun and rain. 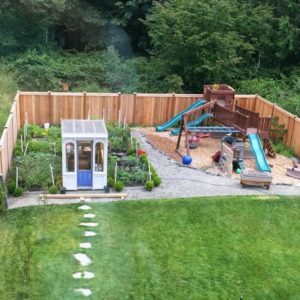 I can’t wait to see how our garden turns out this year, I’m hoping it will be epic. Last year it was a flop because my goats happened to get out (which doesn’t happen often) and snack on all of my seedlings right after they were planted! This year we have added a pallet fence around the garden and are hoping that will fix the problem. For more updates throughout the growing season make sure to check out my blog, but until then I hope you will enjoy these other homestead posts.